Deva Easy Fit Shower Rail is rated 4.3 out of 5 by 4. Rated 5 out of 5 by VicW from Quality product, as described. I was pleased with the item bought. It was a quality product and easy to install. The adjustable brackets made it very simple to fit, I even used the previous fixing holes. Rated 3 out of 5 by John1234 from instalation guide is a challenge Once installed looks great but installing is not as straight forward as other brands I installed. Rated 4 out of 5 by edpink from Good value I purchased and installed this today as a retrofit. 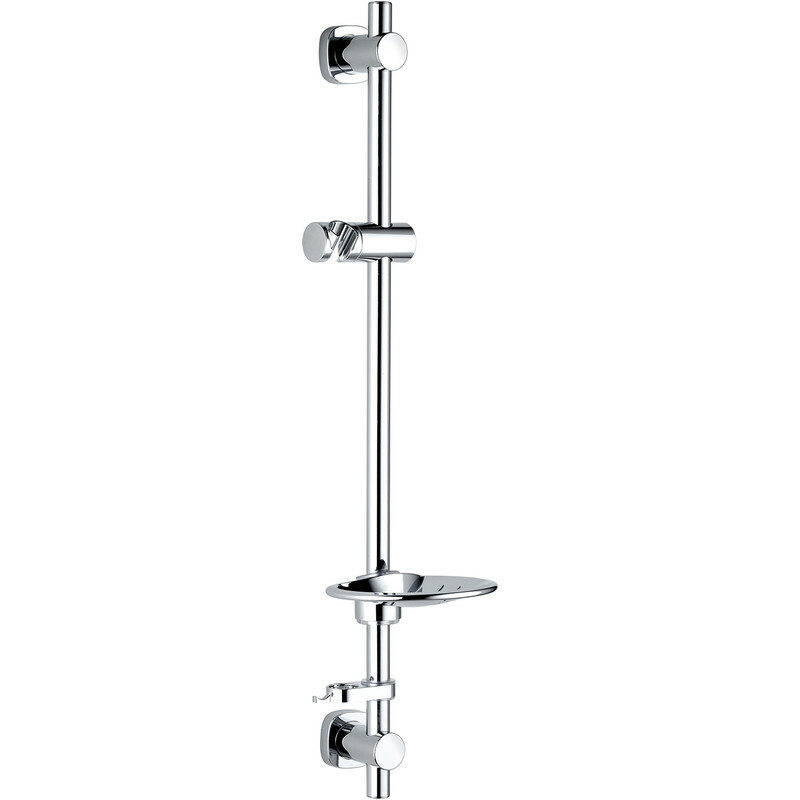 The wall brackets are plastic in construction with a chrome finish. installation was fairly straight forward but my old shower rail was secured with four screws and this unit has only two so had to fill in two holes in the tiles. Really nice modern design and I am pleased with my purchase. On a negative note the online description was insufficient and minimal. No information on size or material used in the product.